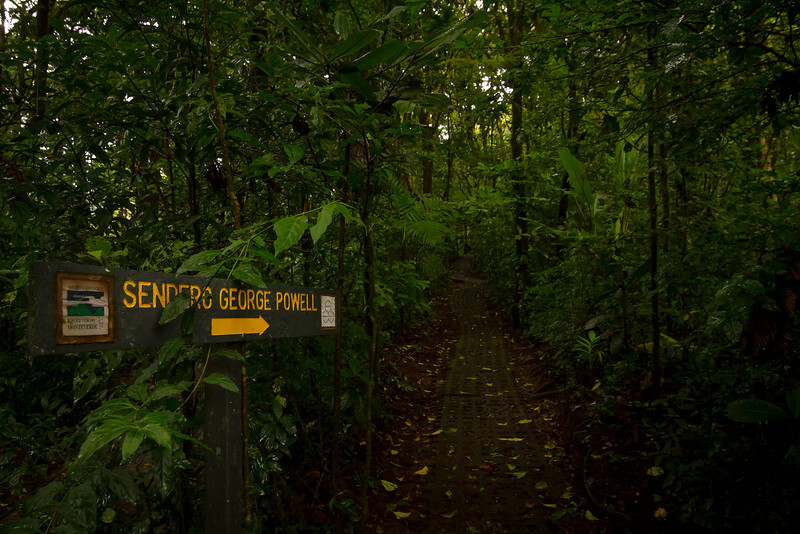 The entrance to Sendero George Powell, one of the main trails through the cloud forest. The sun is out overhead, but it's quite dark and silent in here, only the sound of occasional rain drops or bird calls will pierce the silence. Around 5000' above sea level we're at the Monteverde Cloud Forest Biological Preserve. A stunning non-profit organization nestled in the mountains of Monteverde, Costa Rica. Here, biodiversity reigns supreme with thousands of different types of plants and insects, and hundreds of birds and smaller critters.